So, I have finally gotten a start on my Bacon Project, where I will sample, and report on all of the available brands of bacon. At least, the ones worth buying. And to get us started, I’ve brought home the very first of the interesting brands of bacon, shown above. The bacon was delicious! I had it with eggs over hard and some celery and mushrooms, all cooked in the left over bacon fat. It was excellent! Thoughts and Notes: This was a much higher percentage meat than the standard american cut. Which is great! That said, it will require that I modify my cooking technique a bit in the future. Because there’s more meat, and less fat, I will have to cook it a bit longer and on a bit lower heat in order to properly preserve the chewiness. The end result of my cooking was a delightful meal, and quite tasty bacon, but it was a bit crispy on the outsides, and I really prefer my bacon chewy. As you can see in the picture above, the bacon is slightly blackened on the outside. I know there are plenty of people who prefer it that way, but not me. So, that’s my note-to-self on the future of this style bacon. Cooking notes aside: the texture was excellent. It’s a little thicker than strip bacon, so it maintains it’s texture a bit better. And the flavor was great too! It had some of the smokey flavor you expect from bacon, while the flavor of the pork carried over a bit as well, likely because there is more meat than strip bacon. The critique over with, here is what I will be using as a base for evaluation of my bacon. I will include the following in each of my Bacon Project posts, as well as some of my thoughts on that particular bacon. This one gets a check-mark for the first three. The fourth rule is a tough one, because I have yet to find a Sustainable Farm Raised commercially available bacon product. But I will keep looking! Glad to hear it! I already have the next package – should be checking it out tomorrow or Saturday. It’s a “Canadian” style bacon. I’ll probably eventually have to look in to where the naming conventions come from. But not yet. 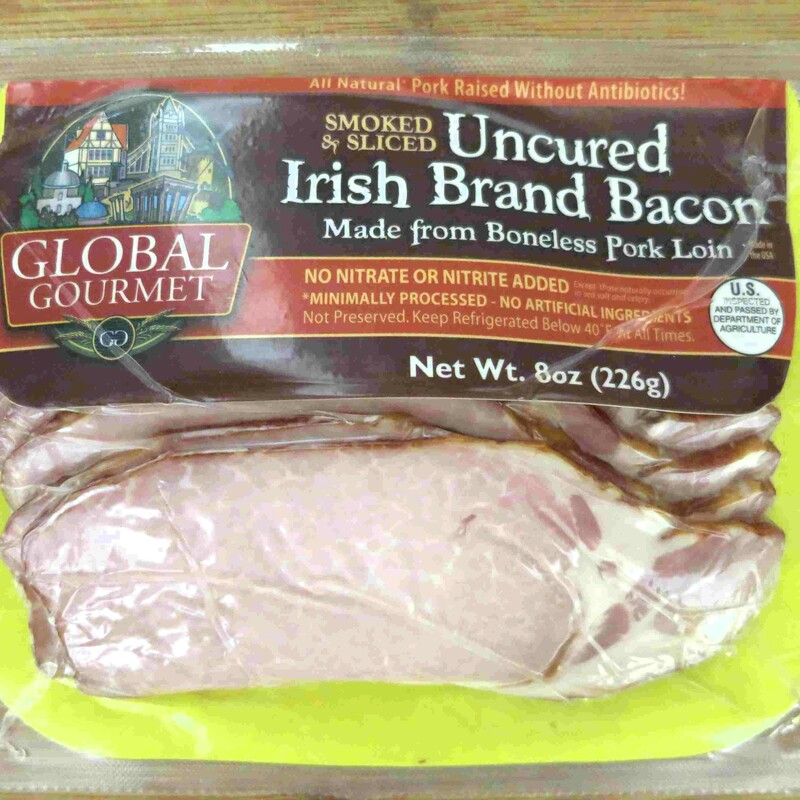 I do love the English/Irish/Canadian style bacon so much more than the standard American. That said, BACON! And I prefer my eggs over easy. I’m definitely a fan of Over Easy, and Sunny Side Up – that’s a great way to eat a good egg! Yeah – my wife and I both really enjoyed this, and have purchased it often since this review. They really did a great job! Excellent ideas. I’m definitely more fond of the over easy, and toast to sop up the yolk. Thanks. No bread for me. When I have some yolks to sop up, I try to eat that over a salad; and then the yolk becomes part of the dressing. It’s pretty darn good with some olive oil and bacon!